Longs is a growing unincorporated township primarily located on Highway 9, the main incoming highway into North Myrtle Beach. The community is loosely designated northwest of the Intracoastal Waterway bridge, from Hwy 57 to Hwy 905. Longs is home to many of the best golf courses in the Grand Strand, and is growing by leaps and bounds. There are more new home communities in the Hwy 9 area here than most any one area in Myrtle Beach, and there are still miles of woodlands and farmlands to expand for years. Longs actually stretches along Highway 31 and the Intracoastal to end west of Ocean Drive Beach. Most people think that all of Hwy 9 is Longs, but much of the closest part is actually incorporated by Little River. McLeod Seacoast Hospital is designated as Little River, and several of the side streets and highways in Longs lead to Little River, and change about halfway. Highway 57 is one of the more popular areas with new home subdivisions and it eventually ends on 17 Business in Little River itself. 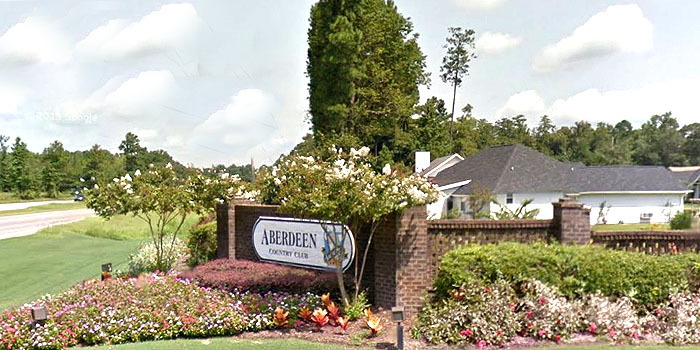 Heading northwest, you'll find the communities of the Long Bay, Colonial Charters, and Aberdeen golf subdivisions, with homes, townhomes, and condos. There are also many farms for sale, with acreage available all along the highway. In the coming years, this will probably become harder to find, with more new subdivisions. North Myrtle Beach is expanding rapidly, and Highway 9 is the primary expansion point. Rumor has it that a new master-planned development with over 1000 homes is in the works, tentatively called The Ranch. If you're looking for a place in the country with few housing rules, farmland, acreage, a lot for your mobile home, or a brand new home in a growing subdivision, you'll find it all in Longs. Condos such as Sun Colony also abound all along the road. This is an exciting part of the Grand Strand right now, as there is so much room to grow and change here. Strip shopping centers are also popping up all over to accommodate the new residents, and offer some great new restaurants to try. Feel free to browse the communities in Longs on the sidebar, or call us for suggestions for your specific needs. We'll be glad to show you the area and can point you in the right direction no matter what you are searching for. We are the local experts in Longs SC real estate.